Without my longtime friend Christian, my book trailer for Bill the Boy Wonder: The Secret Co-Creator of Batman would have looked like the one for Boys of Steel: The Creators of Superman. In other words, there wouldn’t be one. This trailer is not the first big project Christian and I have undertaken together. We go back to a Styrofoam-ball solar system in fourth grade. Maybe you haven’t heard of it. Did you spot the stray Whole Foods paper bag? I wanted the Riddler scene to take place at night but it would have looked too dark without proper lighting (which we didn’t have). We wanted to use an 8½ x 11 green envelope for Riddler’s note; that would’ve allowed Robin to remove the note without having to unfold it. However, I couldn’t find such an envelope in time. In the “Robin approaching” shot, I was worried that the reflective Nike logo on the black running pants I was wearing would be visible. It was not. In the Batcave computer room shot, I was worried that the cursor on the computer screens would be visible. It was not. We didn’t shoot consecutively so I attempted to keep my stubble consistent. I think I failed, however. The two buttons (Batman logo and MTN) were color printouts taped over Staples Easy buttons. The paper didn’t adhere evenly to the buttons, so if the lighting were any better in that scene, the whole thing would’ve looked even cheesier. It was hard to make out, but the ringing cell phone said “Batman.” If we had zoomed in any closer, it would’ve been too blurry. It was daytime when we shot me looking out the window at the MTN-Signal, which is in the night sky. Clumsy filmmaking or subtle joke? The quality of the Bill Finger voiceover is as good as we could get; it came from a reel-to-reel tape from 1972. It’s the first time the public has heard Bill’s voice. I discovered the song “Try” in 1994 when it appeared in the “World Happiness Dance” scene of an episode of My So-Called Life. In the pre-Internet age, I had to buy a guy at ABC dinner for getting back to me with the name of the song (which, as I recall, wasn’t identified in the credits). The man-on-street, Marc-on-the-street, Wayne Manor gate, “Batman calling,” and “calling Batman” scenes were shot in Maryland. The Batcave and walking-to-car scenes were shot in Virginia. Yes, I was still wearing my Robin shirt. No, this was not planned. The Riddler costume is easily recognizable when only a fragment of it is shown. The Riddler was created by Bill Finger. 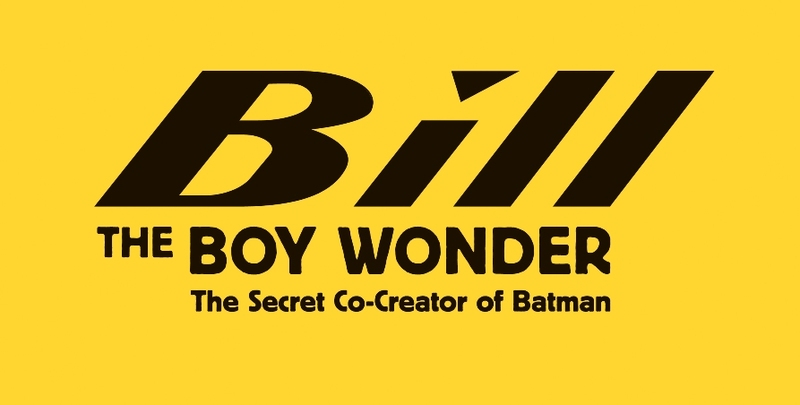 "The Dark Knight Rises" and "Bill the Boy Wonder"
Peter David tweets about "Bill the Boy Wonder"